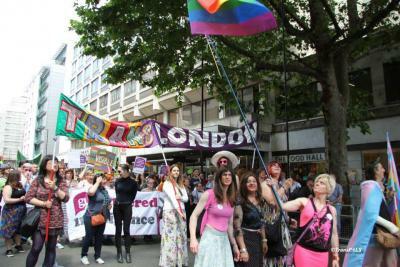 TransLondon marched in London Pride 2015, waving the flag for all to see, while Martha made sure TransLondon and trans issues were represented at a stall in Trafalgar Square. A big thank you to the people who helped us march the banner and to TransPALS and FTMLondon for letting us join their groups. A big thank you also to London for letting us march through your city each year.